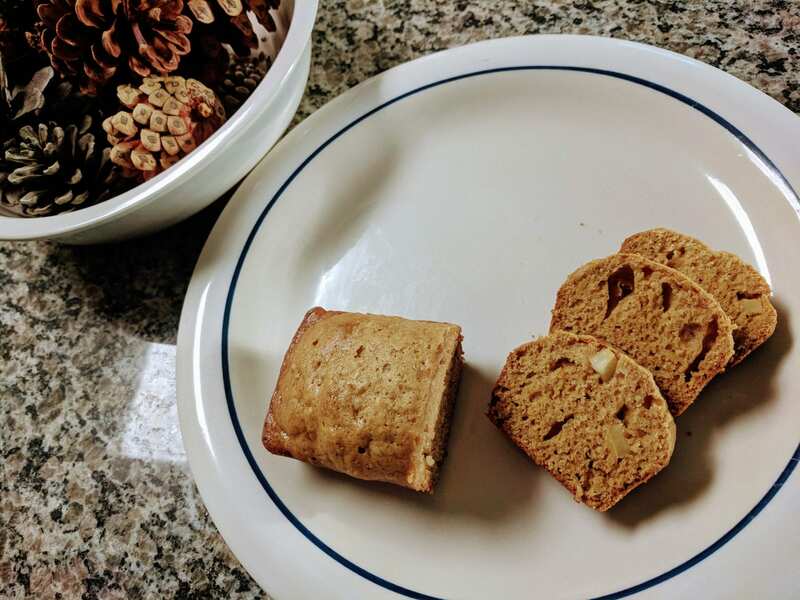 Fall Apple Spice Bread - FiliVino! Ah, the flavors of fall. Fall is the time that I really get out the mixer and get to baking. Breads, desserts, cookies, pies, and the occasional cake! But right now, it’s Apple Spice Bread time! This recipe is very similar to my pumpkin bread recipe, but uses apples and difference measurements of spices to better suit the sweet, tartness of the apples. I also use the apples in two ways – grated for moisture and flavor throughout, and cubed for texture and bursts of flavor. I’ve also taken to making my quick bread recipes in mini loaves. First of all no one should eat a whole full-sized loaf, and making mini loaves helps prevent that! It also makes for easy sharing and gift giving!